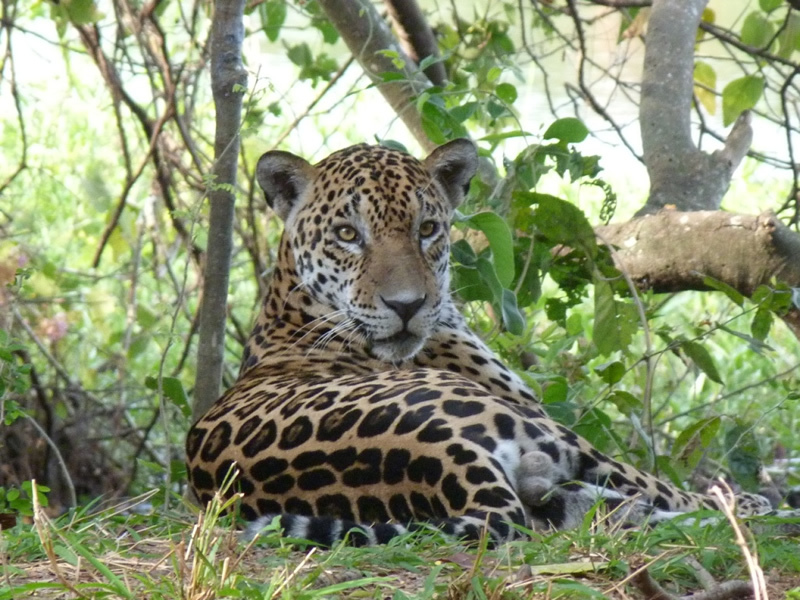 This wild male Jaguar has recently become an “inhabitant of the house” at the Chaco/Pantanal Reserve and it is thought that there may be a family group. Photo © Hugo del Castillo. The Jaguar is one of the most iconic animals on Earth, so imagine the excitement here at the World Land Trust (WLT) when we were sent these striking photographs from our partners in Paraguay. These regular sightings could be a positive indicator that local populations of Jaguars are doing well – this is great news, as globally they are classified as Near Threatened and their numbers are decreasing. On the other hand, it may suggest that this animal – usually elusive and rarely seen – is being forced into ever decreasing areas of habitat, finding refuge in the 35,000 acre (14, 164 hectares) Chaco-Pantanal Reserve to escape the devastating rate of deforestation in the surrounding area. High deforestation rates throughout Latin America have led to both the loss and fragmentation of forest habitat. As such, Jaguar populations become isolated and vulnerable to human persecution; Jaguars are known to kill cattle and frequently persecuted by ranchers. 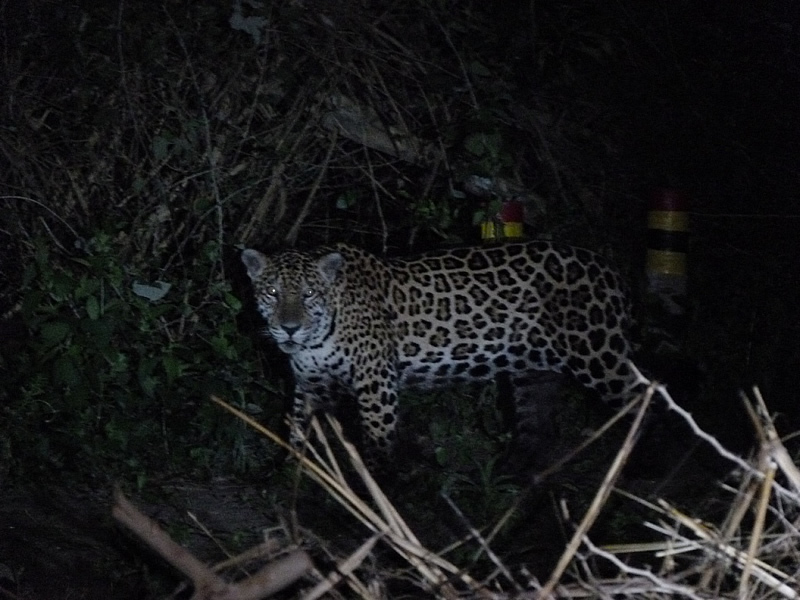 The Jaguar is regularly seen parading the reserve at night. Photo © Guyra Paraguay. To discover more about Jaguars in the Chaco region of Paraguay, Anthony Giordano is researching a PHD on their population density, while also working with Guyra Paraguay as part of the Chaco Jaguar Conservation Project (an organisation that Anthony founded). Part of the project involves working with landowners to tackle the issue of conflict between people and Jaguars. Working with local communities to highlight the importance of protecting wildlife is a key part of Guyra Paraguay’s work; it helps to influence public opinion and ensure the long-term success of their conservation work. 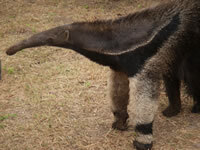 Guyra Paraguay staff have been able to get clear photos of the local Giant Anteaters as they come so close to the Three Giants Biological Station. Photo © Silvia Centrón. 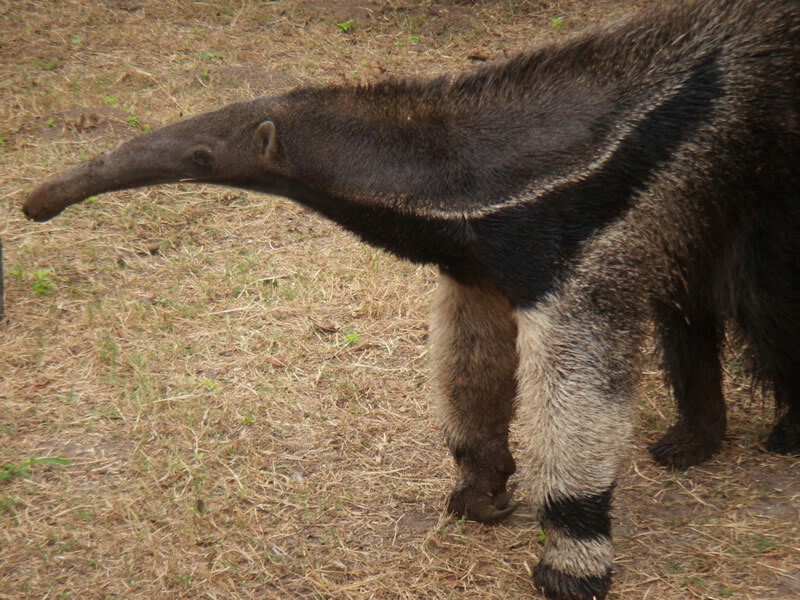 If seeing a Jaguar in Chaco-Pantanal Reserve wasn’t exciting enough, two of the reserve’s notorious Giants were also caught on camera – the Giant Anteater and Giant Otters. The missing third Giant – the rare Giant Armadillo – has yet to be photographed by Guyra Paraguay, but it did recently hit the headlines on BBC News after being photographed in Brazilian Pantanal. 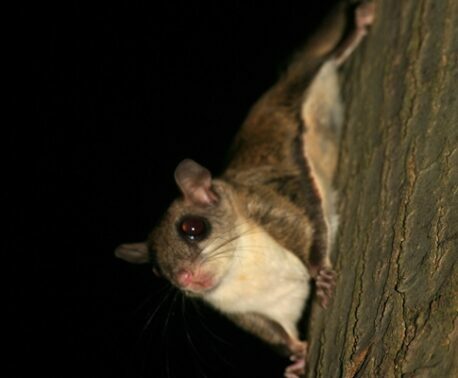 It is great news that these rare and elusive animals have been sighted by Guyra Paraguay, giving a glimpse into the wealth of wildlife being protected by the Chaco-Pantanal Reserve. 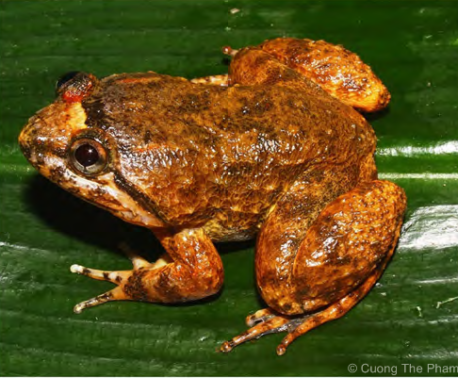 It is also a stark reminder; if we do not continue our efforts to support Guyra Paraguay’s hard work, the habitat that these threatened species depend on will become increasing smaller – impacting their rates of survival.